The TRA is composed of four main units each headed by a TRA Board member and an administrative, financial and audit core supervised directly by the TRA Chairman. For more information on the units and board members, please click on the links below. 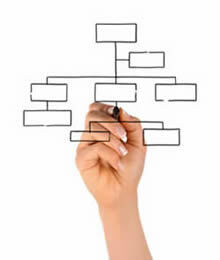 The organization chart has been designed to provide a full overview of the organizational structure of the TRA.